NARAM is the NAR's Annual Meet, the NAR's National contest which also determines each season's National Champions. For more information about what NARAM is, please read this article on the NAR website. NARAM-60 will be held in Pueblo, Colorado, August 4th thru 10th, 2018. 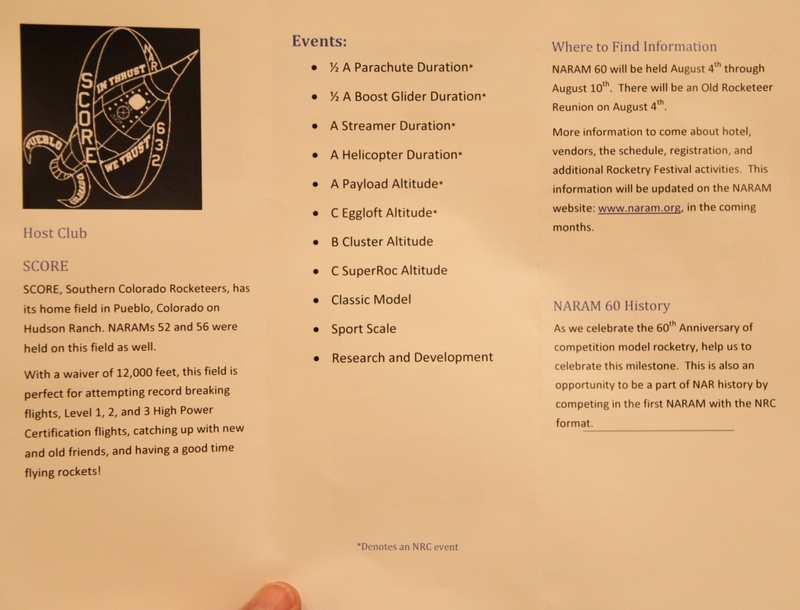 NARAM-60 will also include an Old Rocketeer Reunion, this first since NARAM-50 in 2008. This is like the NAR's version of "homecoming". Here is an archive of photos from the ORR in 2008, from Chris Taylor's NARAMlive.com archives. For more about the National Rocketry Competition, please read this thread. More information will be posted here in the next few months. The official NARAM website url is "naram.org", which at the time of this posting redirects to the NARAM-59 site. 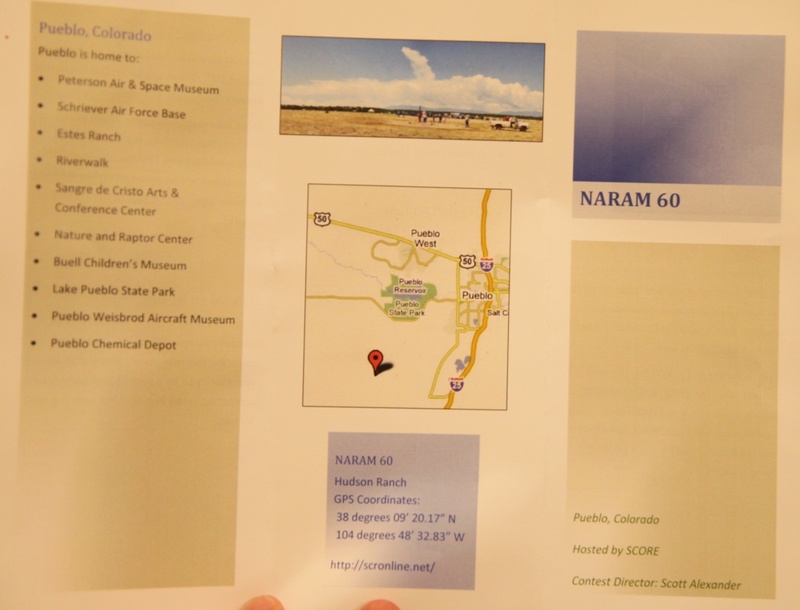 Below, the NARAM-60 brochure handed out at the awards banquet at NARAM-59. So far, so good. 1/2A BG, C Eggloft, A Streamer Duration and A Payload Altitude are done. Tomorrow is B Cluster Altitude and A Helicopter Duration. Weather has gotten kind of nasty in the afternoon (thunderstorms in southern Colorado stirring up the winds) but the main effect of this has been to shut down a little before the scheduled 4 PM both yesterday and today. (08-08-2018, 12:57 AM)Bernard Cawley Wrote: So far, so good. 1/2A BG, C Eggloft, A Streamer Duration and A Payload Altitude are done. Tomorrow is B Cluster Altitude and A Helicopter Duration. I am bummed that I missed being able to attend NARAM 60. I am planning now to make it to TARC and NARAM 61 in 2019.